You’ve seen them everywhere. 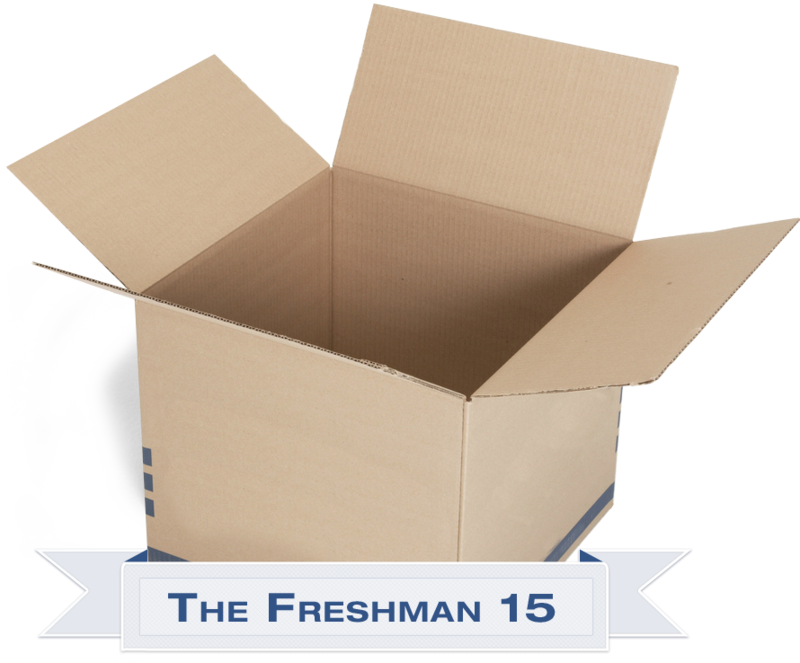 Those lists that promise they’re the ultimate guide to packing for your first (or second, or third) year of college. But in my experiences, I’ve noticed that more often than not, those lists leave off some important things, while listing several not so necessary items. Tape. If you’re anything like many other college students, you have posters and mementos that you may want to decorate your room with. The easiest, cheapest way to do this is with a roll of clear tape. It sticks well (usually) to the standard cement brick walls of dorm rooms, and doesn’t damage walls like other adhesive substances might. An umbrella and rain boots. This is especially a big one if your main mode of transportation at school is walking. Because there will eventually come a day where it is torrentially downpouring and you have no choice but to go outside and walk to class or work. And you will be able to smile smugly to yourself in your dry toasty rain boots and umbrella while you watch your less prepared peers dash from building to building looking as though they just climbed out of a pool. A full length mirror. Many dorms don’t have full length mirrors in the individual rooms, and while they may be in the hallways, it’s difficult to nonchalantly check out your outfit while you’re walking down the hallway (trust me on this). It will come in handy to have a full length mirror at your disposal to assess your clothes. They’re relatively inexpensive at places like Walmart and Target, as well. Silverware. To some, this may seem like a no brainer. But many people who have full meal plans simply assume that they’ll do all their eating in the campus dining halls. Unsurprisingly to others, that assumption is (for the most part) incorrect. While you probably won’t be preparing four course dinners in your dorm every other night, you’ll eventually want to order pizza or chinese takeout, or bake cookies in the middle of the night. It’s never a bad idea to have a few utensils, some plates and cups, etc. at your disposal. Even if you buy a pack of plastic everything (the environment may not thank you) you’ll be prepared! Flip flops. This one is especially important to those who live in dorms with communal bathrooms. While they’re hopefully not too disgusting, chances are you’ll want at least a layer between you and the tile floors in the showers. Plus they’re always handy for warmer weather days. A bathing suit. Another thing many wouldn’t think of is swimwear and accessories. But lots of schools have swimming facilities that you and your friends may wish to take advantage of some day, and you’ll want a bathing suit handy, because they’re expensive to buy replacements! What are your essentials for dorm room living?